The Howard Hughes Corporation, developer of the Summerlin master planned community, the Las Vegas Ballpark, and owner of the Las Vegas Aviators, the city’s professional Triple-A baseball team of the Pacific Coast League and affiliate of the Oakland Athletics, announced a partnership with Daktronics. Daktronics has designed, manufactured, and recently installed a new LED video display at the Las Vegas Ballpark, featuring a unique angle to match the contour of the outfield wall. At 3,930 sq. ft., the new outfield display is the largest Daktronics has installed in baseball’s minor leagues and is top 25 in size for baseball in North America. It features a 13HD pixel layout and measures approximately 31 ft. high by 126 ft. wide. The stadium’s construction team – a joint venture of AECOM Hunt and PENTA Building Group – installed the new display in late 2018. 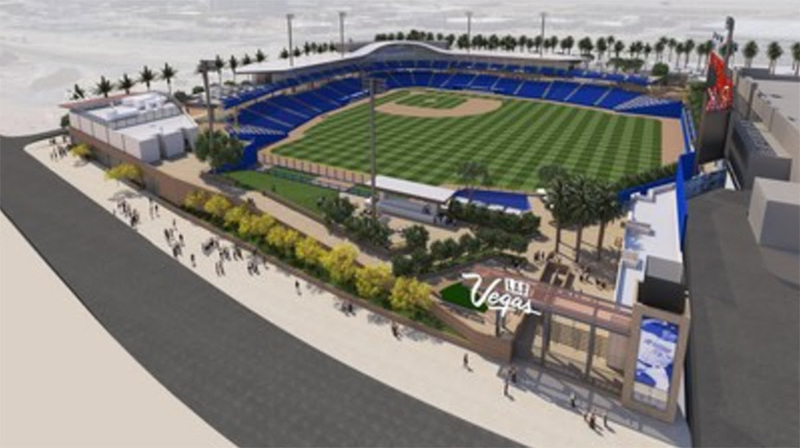 In addition, a gate entry display measuring 3.5 ft. high by 41 ft. wide, and featuring a 13HD pixel layout, welcomes fans to the Las Vegas Ballpark with branding and promotional messages.